Democracy. Diversity. Opportunity. Innovation. Collaboration. America’s story started here. 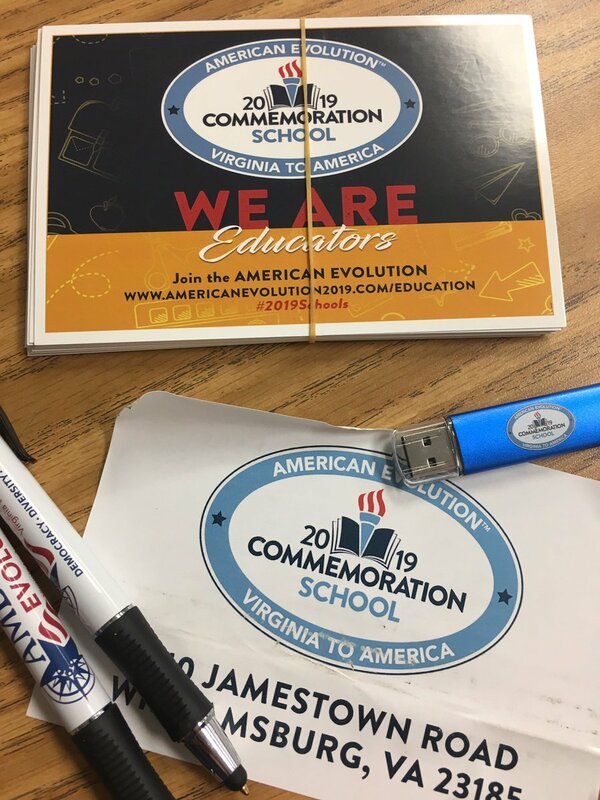 Join with educators across Virginia to honor the legacy of 1619 by becoming a 2019 Commemoration School. 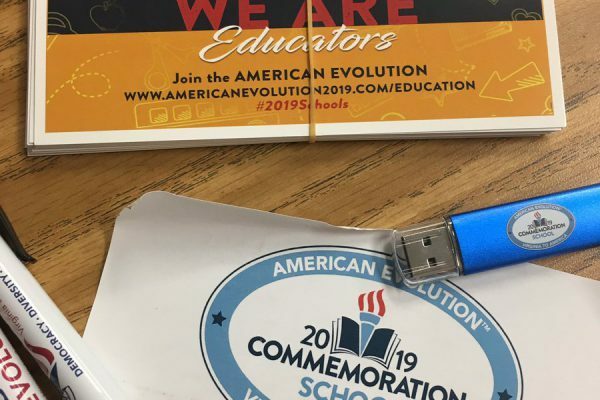 2019 Commemoration Schools is a yearlong effort to incorporate 2019 spirit into your school community and classroom environment. How you participate is up to you! Choose from innovative project ideas included in the 2019 Schools toolkit below or connect 2019 Schools to existing school, library, and class initiatives related to the themes of democracy, diversity, opportunity, innovation, and collaboration. More details below in the toolkit! 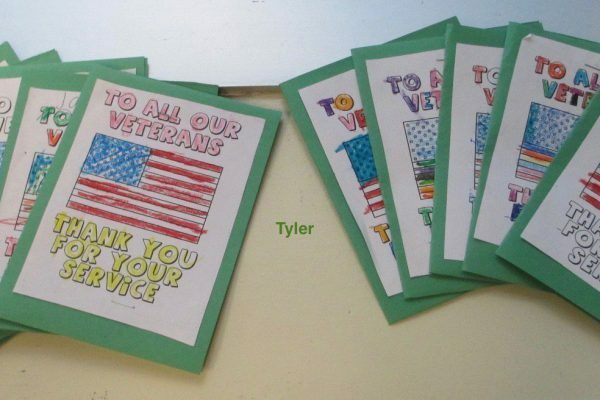 Register today to receive your free 2019 Commemoration Schools project box! *Please note: The 2019 Schools project box contains resources for an entire content team/grade level. Only one box will be mailed per grade level/content area per school. Once schools have officially registered, they are included on our official map by location and project type. Check out which schools are involved near you! If you’re participating in 2019 Schools, we want to hear about it! Whether you’re a teacher, librarian, or school or division leader, there’s a #2019Schools project perfect for your learning community! Use the Virginia History Trails app with your students to explore significant stories, people, and places in your community and around the Commonwealth! Students can create their own collaborative history trails using Google Maps, or explore and analyze the app’s themed trails to better comprehend Virginia’s significance to the American story. Learn more here. Check out our video and audio resources page for relevant and innovative digital resources you can use with your students all year long. Guardians of Jamestown, 1619 is an innovative educational video series that brings the historic events of 1619 to life for elementary students. Our Virginia to America video series highlights important stories from contemporary Virginians on how the past continues to impact their local communities, including videos on the Students Civil Rights Movement, Suffragists in Virginia History, and the Evolution of Democracy and Freedom in Virginia. 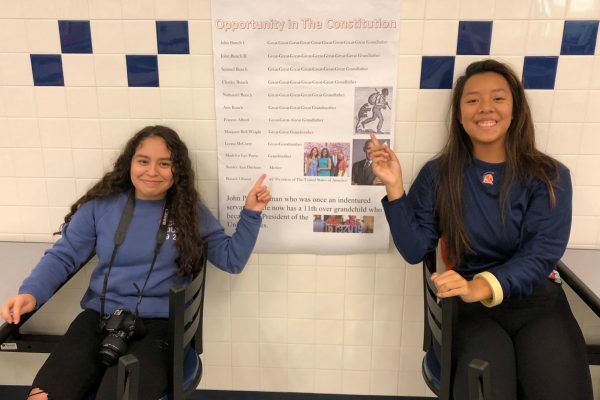 Improve your students’ media literacy with the first of its kind digital First Freedom Wall, a collaboration between the 2019 Commemoration and UVA’s Youth Leadership Initiative. Intended to mirror the stationary First Amendment Wall in downtown Charlottesville, the curated virtual wall will encourage secondary students across the country to communicate online on a variety of contemporary civics topics, and is a great resource for teaching students the importance of civil dialogue and talking across the political divide. Check out our lesson plan on the First Freedom Wall here. Connect Black History Month and Women’s History Month initiatives in your school, classroom, and library to #2019Schools. What makes someone a changemaker? Who are the changemakers–famous or not–that you admire most? What 6 changemakers–living or dead–would you invite to dinner? How can we elevate more diverse changemakers? Who do you think has been overlooked by history? Who are changemakers your age that inspire you? What ideas do you have for changing your community or school? How can students make an impact? Who from your current unit is an example of a Changemaker and why? Encourage students to creatively reflect on the inspirational people in their lives with the quick and easy “Who Inspires You?” activity. Download and print the #2019Schools “Who Inspires You” image and display it in your classroom, library, school hallway, or cafeteria (or online). 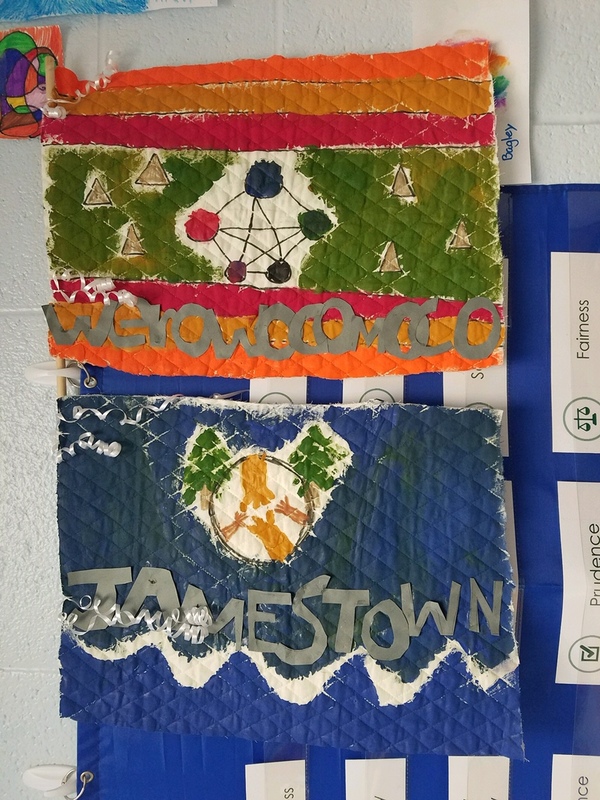 Students can share their inspirations by filling in a tile with their written reflections or through art. Participating in Virginia History Day with your students, or just looking for Virginia research topics? We have you covered. 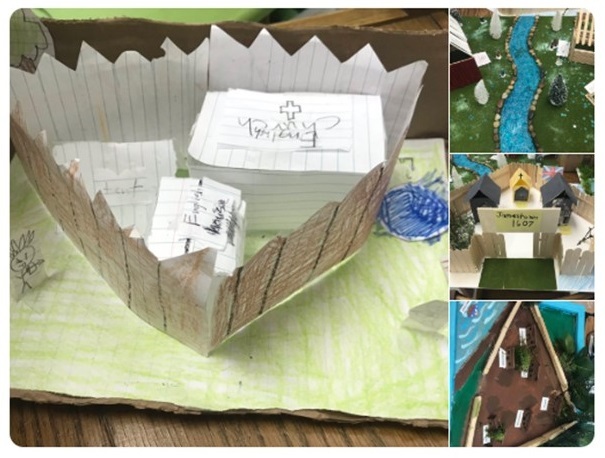 Visit our National History Day page for project topic ideas that align with our “Changemakers in Virginia History” prize at the 2019 VHD competition. If you the missed the #2019Schools Changemakers webinar, you can find it here. Engage your students with Digital Learning Day and #2019Schools. Learn more about Digital Learning Day here and check back for project ideas. 2019 Schools Spirit Week is April 8th-12th, 2019. 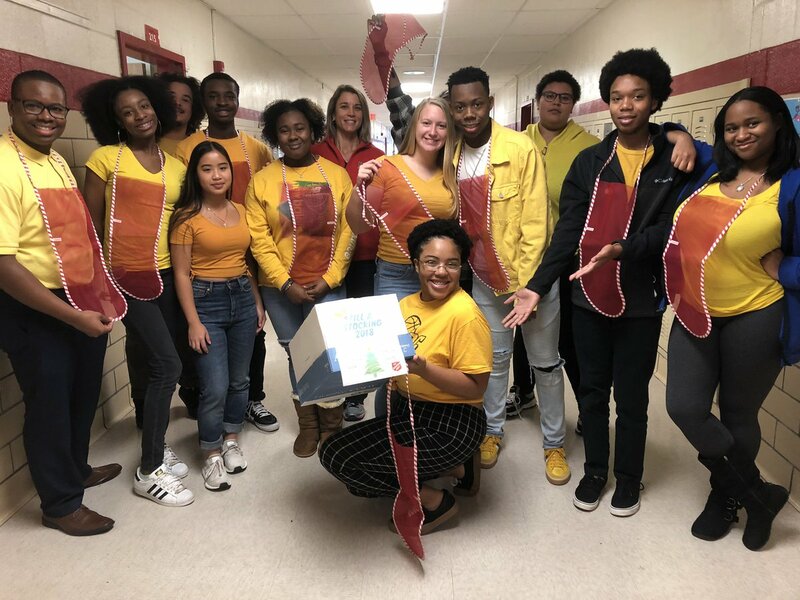 2019 Schools Spirit Week is all about creatively reflecting on Virginia’s past, present, and future with educators and students from around Virginia. Click here to accept the challenge. Diversity is one of the key pillars of the commemorative year, and there are tons of way to use art to explore diversity in the classroom and to also encourage students to examine their own cultures. Explore the Virginia Museum of Fine Art’s collection of world art, including the upcoming exhibit, Cosmologies from the Tree of Life: Art from the African American South, timed to coincide with the anniversary of the arrival of the first Africans to English America in 1619. Libraries are for everyone. Celebrate diverse storytelling by creating book displays in your school’s media center that feature diverse voices and relevant themes like heritage, history, civics, identity, social justice, acceptance, and more. Choose from books in the 2019 Schools Reading List or recommended titles from the American Library Association. Additionally, consider creating a themed display around the themes of the Commemoration (democracy, diversity, and opportunity) or relevant heritage months. 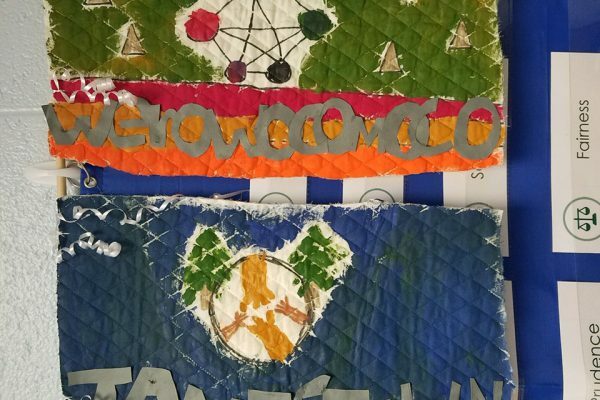 See examples of how schools are honoring diverse storytelling here. Align your school and division reading challenges to the themes of democracy, diversity, or opportunity, or design a reading challenge that features titles from the 2019 Schools Reading List. Celebrate diverse readers by planning a March 2019 Read Across America celebration at your school that highlights books with diverse storytellers and characters. Check back here for more ideas. Libraries are for creating. 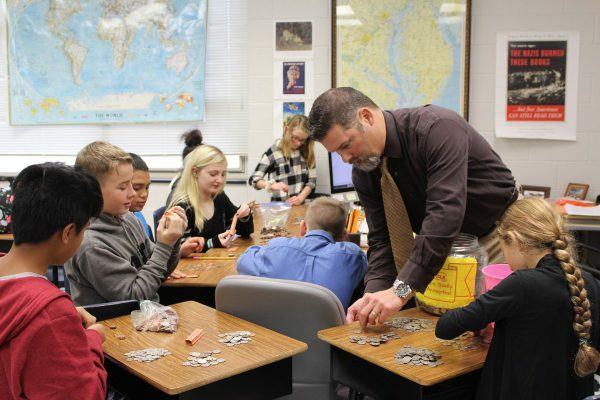 Set up a makerspace that combines social studies and history with making. Encourage students to create a project inspired by a “changemaker” in Virginia or American history that changed the world for the better, using tools and materials in your library’s makerspace. 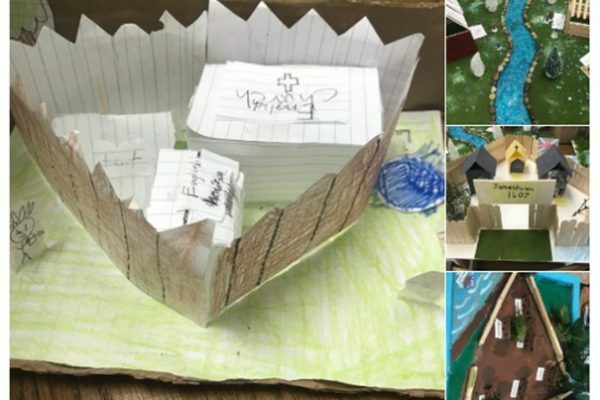 Find project examples here and here .To learn more about encouraging creativity through making, check out the Renovated Learning blog. Student elections are a great example of democracy in action, one of the key pillars of the commemorative year. 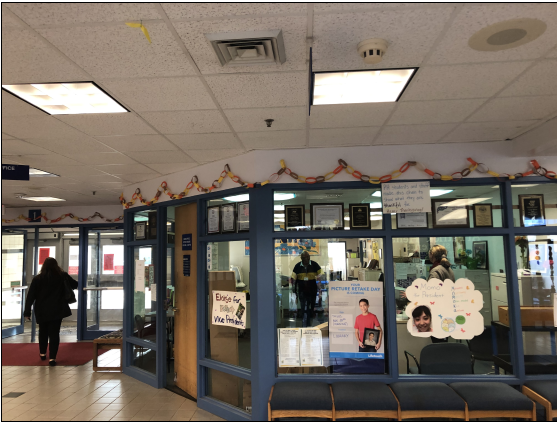 Share examples of candidate posters and school appearances as a #2019School initiative. Looking for ways to connect student elections to the General Assembly? Explore how the “Class of 400” Virginia State Senators and Delegates are commemorating the 400-year history of the Virginia legislature through individual and themed videos. Did someone in your family serve as member of the Virginia House of Burgesses in the 1600s? In recognition of the 400th anniversary of America’s first and oldest law-making body, DOME (Database of House Members) chronicles the nearly 10,000 men and women who have served either as Burgesses or Delegates elected to the Virginia General Assembly over the past four centuries. Take your 2019 Schools spirit outside of the classroom. Align school events—assemblies, concerts, plays, family nights—with the themes of the Commemoration or honor 1619 by celebrating the diversity of your student population. Host a multicultural night for students and their families to learn more about other cultures. Gain inspiration from Walt Disney Elementary in Indiana and plan a multicultural celebration at your school. 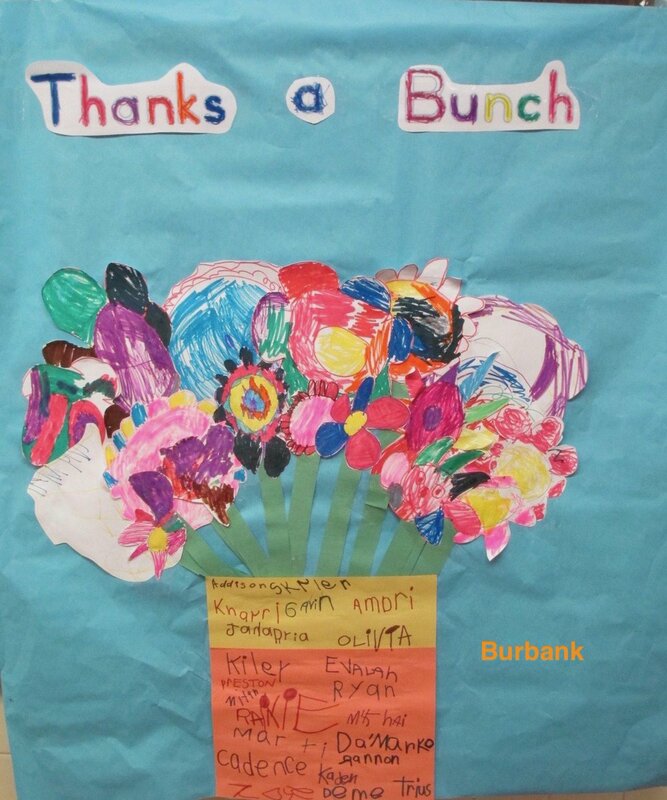 Encourage students to tell their own stories with classroom or school-wide interactive bulletin boards and murals. 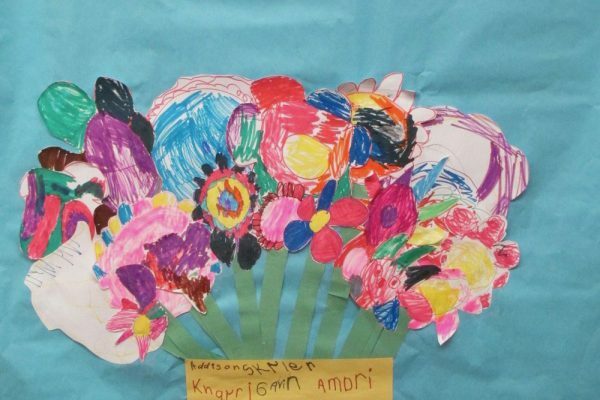 Check out school and class mural projects here and here for inspiration! Encourage student clubs and organizations to get involved. 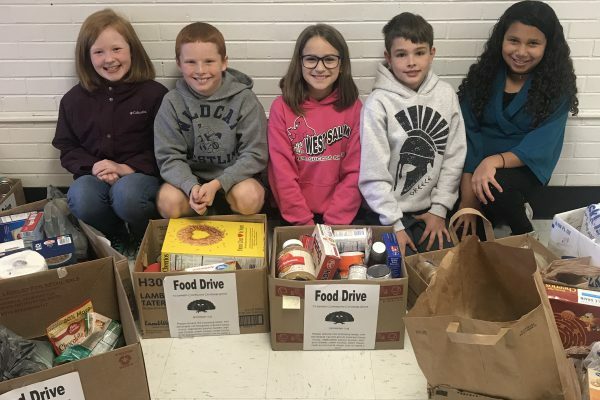 Service learning, book and food drives, and school-wide interactive art displays are just a few of the ways that student groups can lead their schools in commemorating 1619. 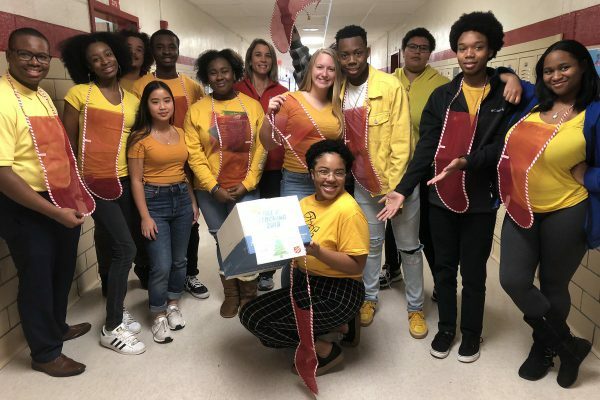 Read how Courtenay Taylor, Cumberland County High School social studies teacher, is connecting her school’s SGA acts of service activities to #2019Schools. 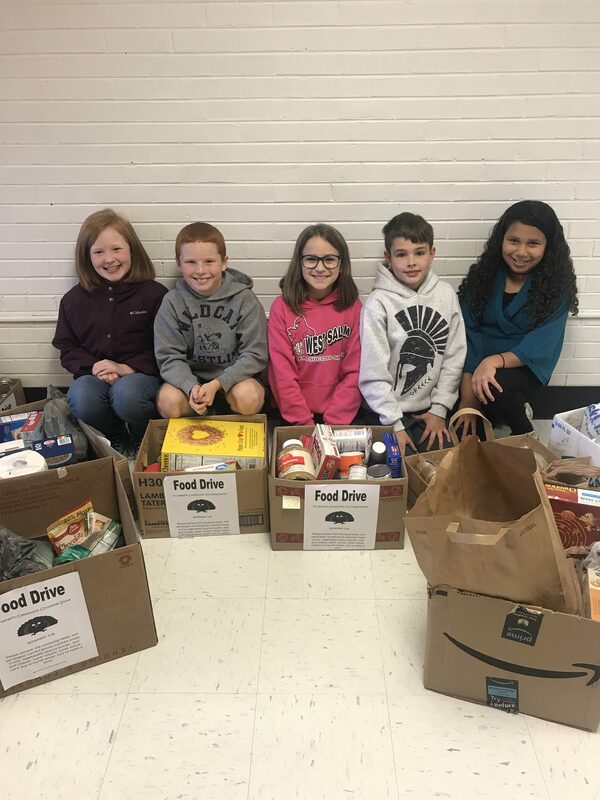 Student-led initiatives, such as We Dine Together, are a great way for students to lead the way to positive social change in their schools and communities. Proudly share and show your #2019Schools pride around your classroom and school and online using our 2019 Schools graphic resources. Check out our graphics collection here–we’d love to see pictures of 2019 Schools around your school! Virginia is always making history! 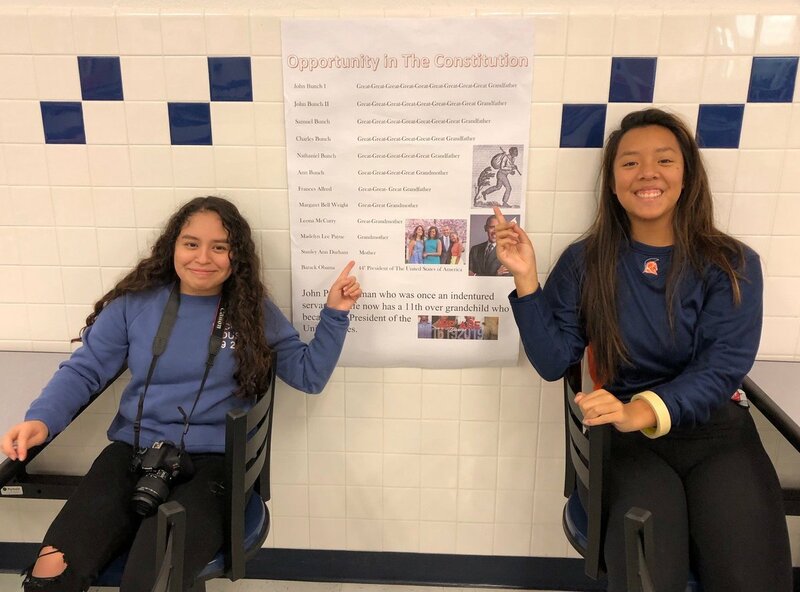 You can use moments and events in history as a bellringer or lesson highlight or review, or consider sharing a moment from Virginia history during morning announcements! Each year, YLI conducts the largest secure, student-only, online mock election in the nation, using electronic ballots tailored to each student’s home legislative district. Find out more here. Field trips are a great example of #2019Schools spirit in action! 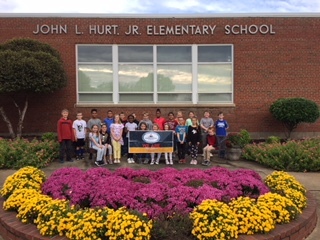 You can register to become a 2019 School when you check in for your Jamestown field trip, and be sure to pose for a picture with our #2019Schools photo prop while you’re here. Check out Jamestown’s new online Learning Center for videos, primary sources, and lessons on Virginia’s three cultures and 1619. Virginia Kids Trail is partnering with #2019Schools to highlight young people around Virginia. Not just any young people, though. These kids, who can be nominated by others or themselves, have done extraordinary things ranging from community betterment, high achieving academics, unique moments that they overcame, or perhaps they helped save a turtle from the middle of the road. It’s the story that matters. There will be a total of 4 winners over the course of the program that will end in 2019. Visit the Virginia Kids Trail site for more information. What’s a field trip to Montpelier like? All students receive a guided tour of the Madisons’ beloved home led by one of Montpelier’s specially trained educators. House tours are tailored to fit any grade-level and cover many historical topics. Can’t make it to Montpelier? Explore resources from their award-winning exhibit, Mere Distinction of Colour on the lives of enslaved people and their descendants at Montpelier. Students will better understand American freedom by better understanding our complicated relationship with American slavery. 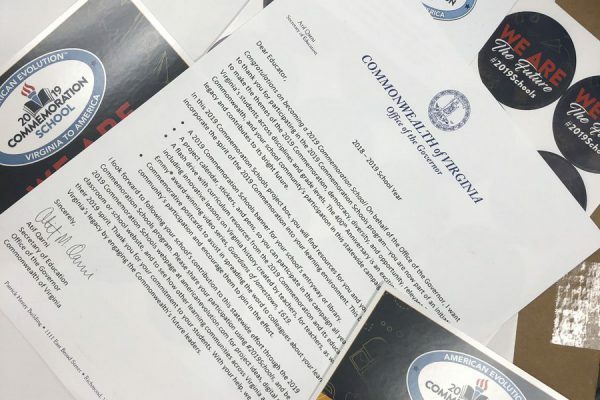 Be sure to join the 2019 Commemoration Schools Facebook group to connect with educators across Virginia and to see more examples of #2019Schools projects! The 2019 Commemoration, American Evolution, honors the 400th anniversary of key historical events that occurred in Virginia in 1619 that continue to influence America today. The year 1619 was a pivotal year in the establishment of the first permanent English Colony in North America. It was the year of the first representative legislative assembly in the New World, the arrival of the first recorded Africans to English North America, the recruitment of English women in significant numbers, the first official English Thanksgiving in North America, and the entrepreneurial and innovative spirit of the Virginia colony. 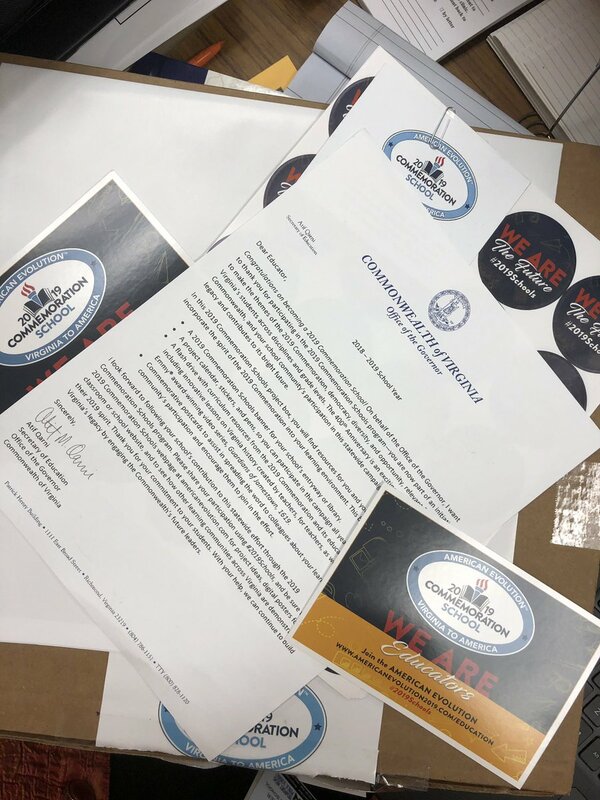 The 2019 Commemoration Schools program is a yearlong challenge for school communities in Virginia to demonstrate their 2019 spirit through participation in contests, projects, and activities that are sponsored by the 2019 Commemoration and partners or are unique to communities, schools, and divisions. Is this limited to history teachers? No! Faculty and staff from all disciplines are encouraged to sign up. Can private schools/ homeschool students participate? Yes! Public, private, and homeschools can participate in 2019 Schools. Register your school for 2019 Schools by signing up below. Increase your students’ understanding of Virginia’s history and future! 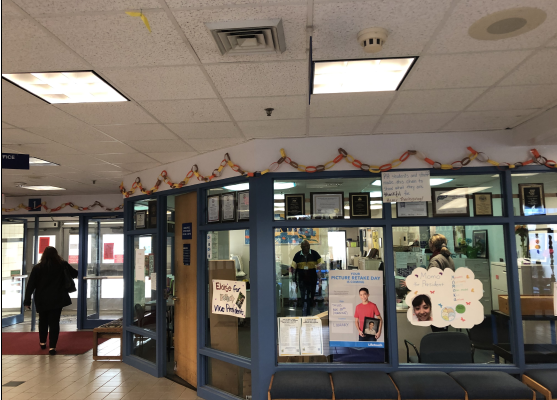 Check out these examples of #2019Schools projects!